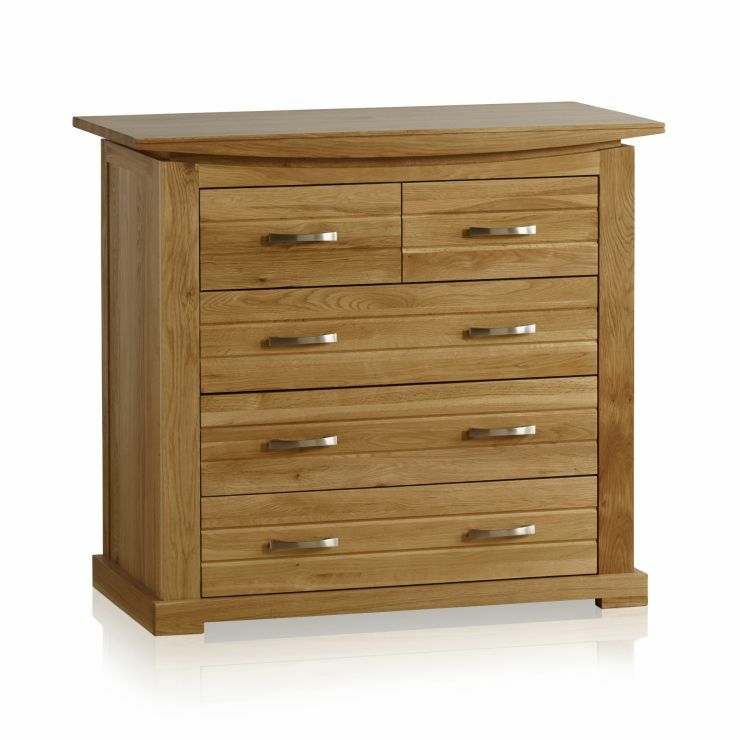 The Tokyo Natural Solid Oak Chest of Drawers possesses an enviable range of eye-catching features. 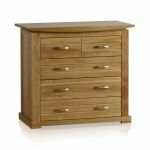 From the shallow bowed top to the inlaid panelled sides and grooved drawer fronts, it demonstrates exemplary levels of design. 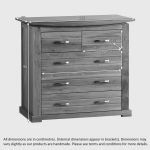 Offering three full and two half-width drawers, there's ample storage space for clothes, blankets and shoes; to name just a few things. 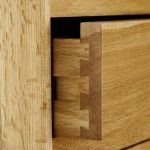 Every inch is made from only 100% solid oak timbers, even the linings of the drawers; we never skimp on materials and we never use chipboard, MDF or veneers in any of our products. 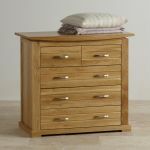 The drawers are completed with curved brushed metal handles, which complement the golden hues of the oak timbers perfectly. 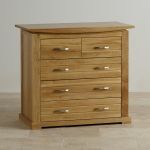 Browse the rest of the Tokyo Solid Oak Range for more items of dining room, living room and bedroom furniture.